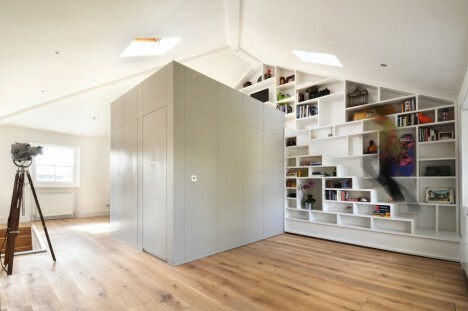 Clever integration of storage, dangerous-looking alternating treads and unusual wall-mounted designs enable these 12 compact staircases to avoid the problem of wasted space. Whether leading up to lofts in tiny houses and micro apartments or simply taking a smarter approach in larger spaces, these space-saving stairs look cool in addition to taking advantage of every square inch. 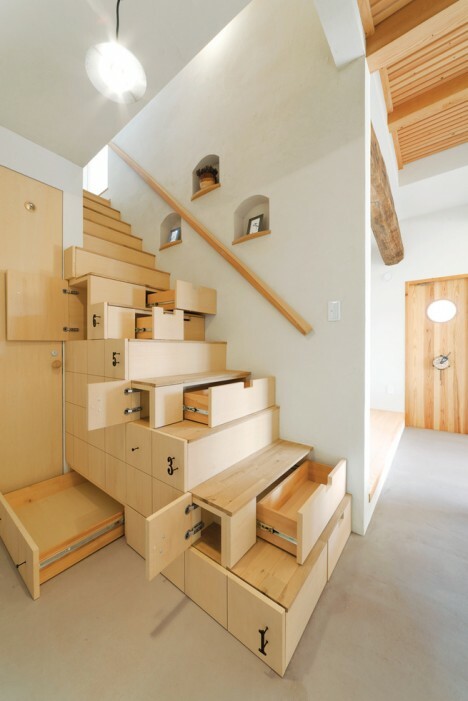 Combining staircases with storage is nothing new in Japan, where carpenters have built drawers and cabinets into them for centuries. This project by architect Kotaro Anzai is a traditional ‘kaidan dans’ staircase cabinet made of linden plywood. Drawers open both out and to the side to make maximum use of the space. 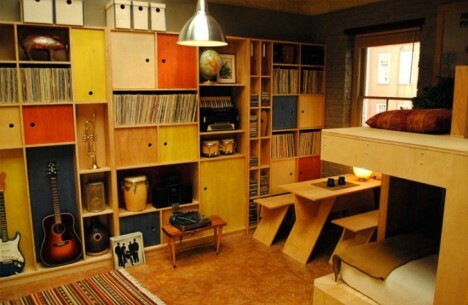 Any architecture and design enthusiasts who watched HBO’s ‘Girls’ probably drooled over the clever built-ins in the fictional Bedford-Stuyvestant home of the character named Charlie. 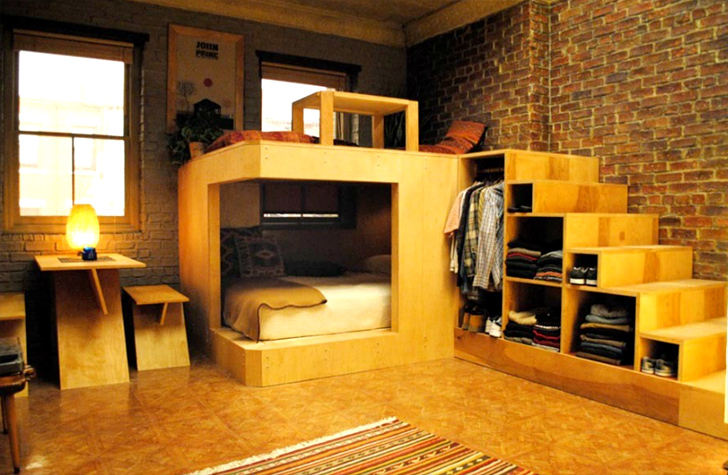 A lounge space is lofted over a semi-enclosed bed, and the stairs leading up to it also function as a closet and storage cabinet. A small apartment in Camden feels far more spacious after a renovation that added a central volume enclosing the bathroom and lots of storage, with a lofted bed on top. 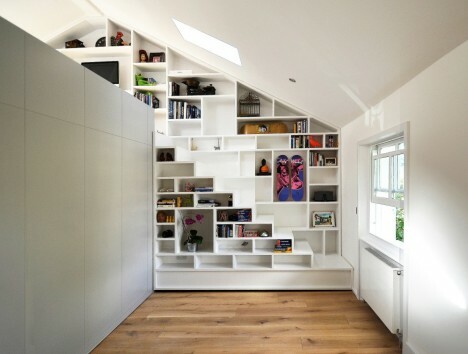 The most clever part is the wall of built-in shelves that double as a staircase to get to the top.